The tracks and curtain headers are cheap plastic rubbish. They do not slide easily and tend to grab on the screws that attach the rail to the body of the van. As a result of point 2 the plastic curtain header tears and the glides come adrift. 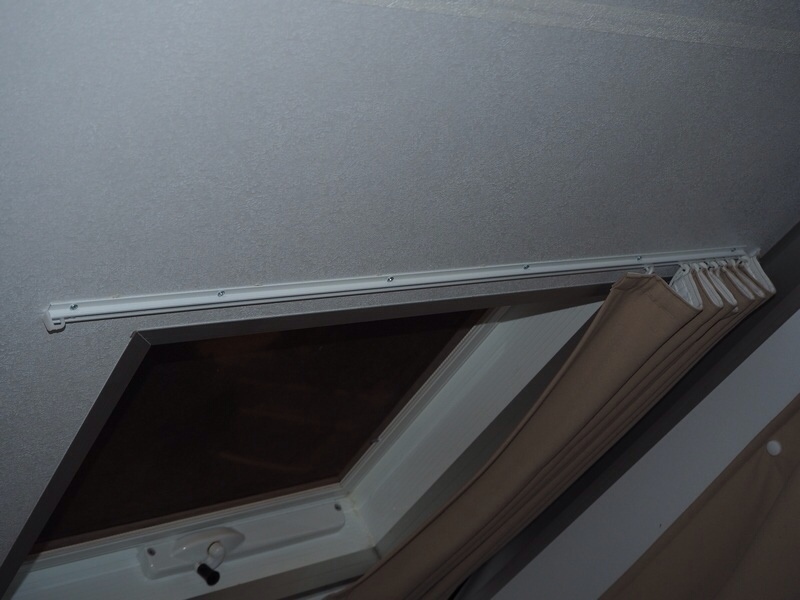 I decided to replace them and whilst visiting a caravan show I discovered everyone (except A’van) was using aluminium tracks, proper cloth headers with nylon gliders and nylon hooks; and they worked beautifully. I quickly found an Ebay store Curtain Track Specialist that supplied everything including the track cut to length. This included sufficient slides and hooks. About 13m of 30mm curtain header tape. 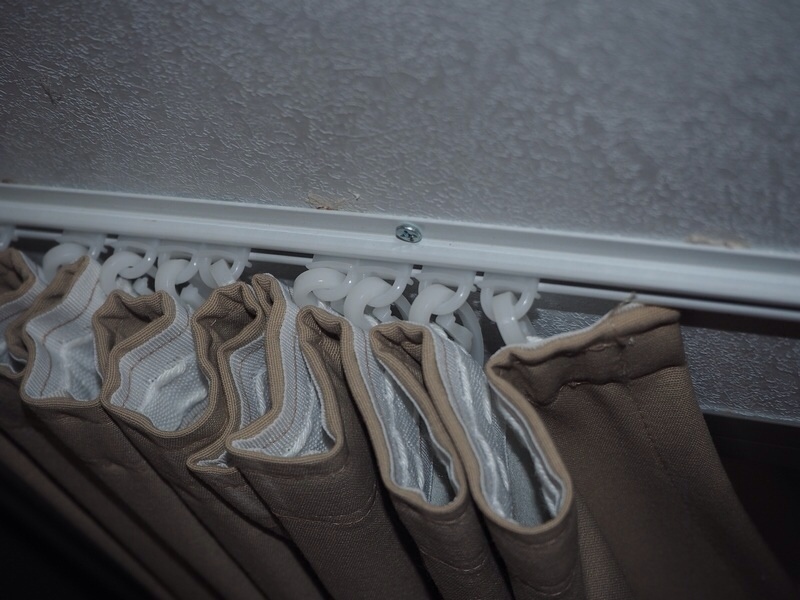 Remove the curtains, remove the plastic curtain headers and sew on the new curtain header. I sewed it flush with the curtain top/bottom. Unscrew the old plastic track. Plug the screw holes with white filler. When dry, use a white paint pen to paint over the filled holes and any marks made in the process. The new track comes with pre-drilled holes 300mm apart. I drilled extra holes in between (resulting in holes 150mm apart), plus holes about 20mm from the ends. I used 4 gauge 16mm screws to attach the tracks. The new track is skinnier than the old track, so it won’t completely cover the old holes. The old track had screw holes at each end that held the clear plastic end-stops in place. I found that lining the new track up with these holes was just about right. 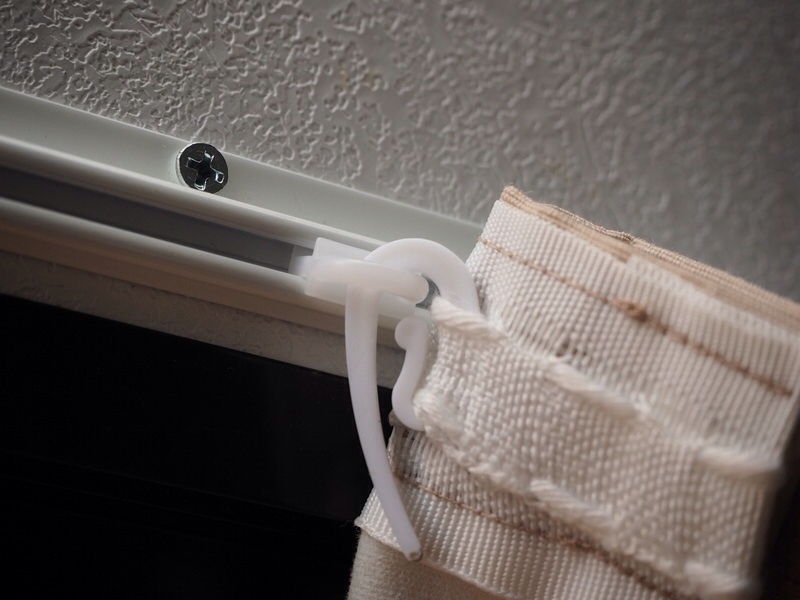 Another way of doing it might be to install the top track, connect the curtains with the bottom track in place and mark where the bottom track should go to make the curtains sufficiently taut. I ended up leaving a bit of slack in the curtains, which allows them to run smoothly. 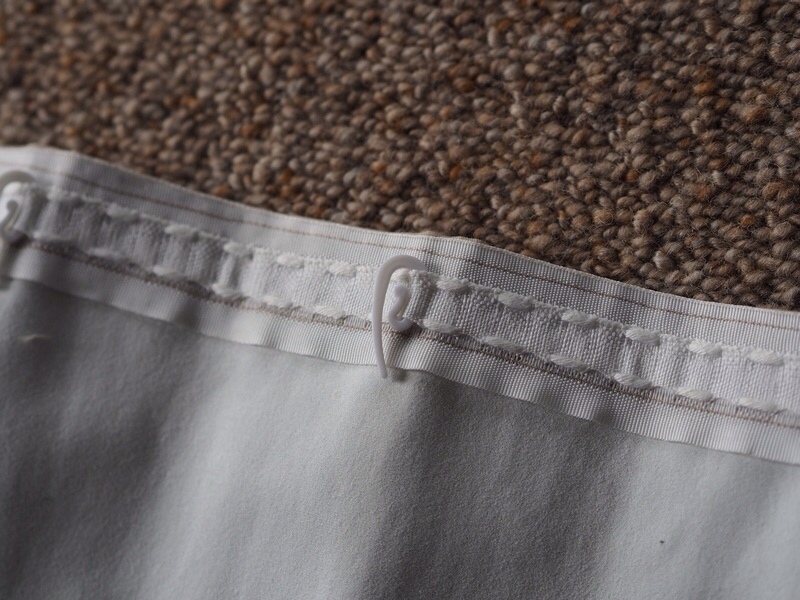 The curtains might benefit from some sew-on Velcro spots to keep them properly closed. Nice job! Its good to see some pics of our track in actual use. I trust supplying the track as per your requirements, makes the job easier! 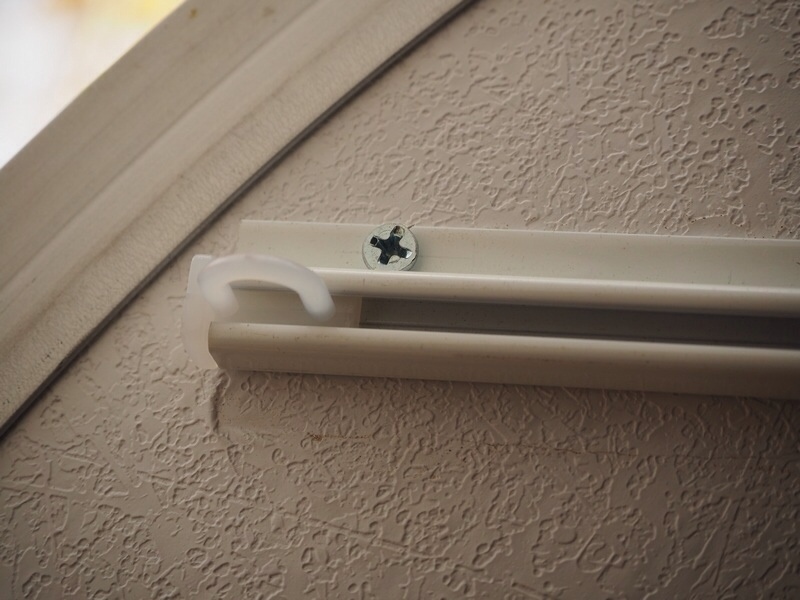 We now also supply the heading tape and nylon S hooks as well. You’re welcome John. Having the tracks cut to length and being able to get everything from the one place certainly made life easier. I have had one other Avanner contact me about the tracks and next year I plan to travel to the Avan meeting in Renmark so you might get a few more people enquiring about the tracks. 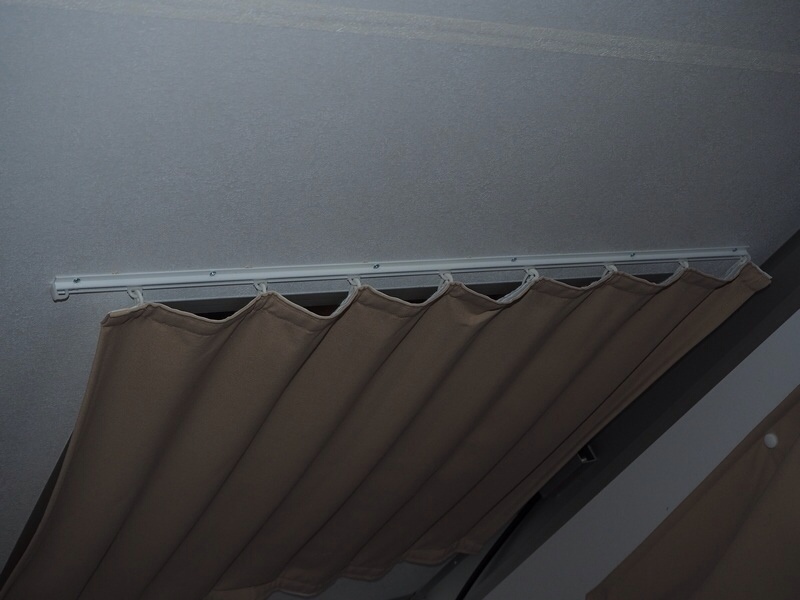 ….. just updating the details to find the low profile aluminium caravan curtain track that includes the ends, sliders and nylon hooks ….. https://www.ebay.com.au/itm/CARAVAN-Curtain-Mini-Track-Aluminium-Low-profile-Replacement-Bendable-Rail-Flex-/131621543259?var=&hash=item645923217b Track cut to your required sizes 🙂 Also, individual parts available eg mini track slides, end caps, nylon S hooks etc. Great job Greg. I found this post while working on changing the festoon rear lights on the back of my new AVan Adventure + to LED lights. Once that job is complete I will look at following your guidance with the curtain tracks.